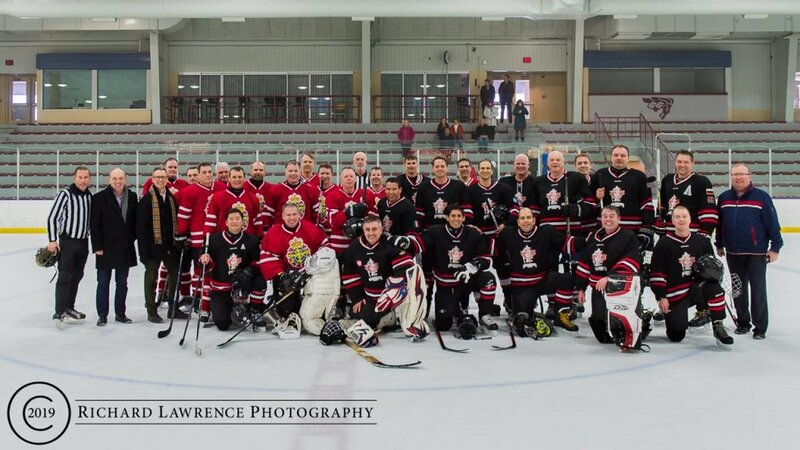 The OSAA Lame Ducks took to the ice again this week against their Canadian Armed Forces foes, the General Officers and Flag Officers, or the GOFOs. It was a match that clearly showed the Canadian dominance of the game of hockey over the multi-national defence attachés posted to Ottawa, who, although showing improving skills in the game, were not a match on this day for the GOFOs, led by Chief of the Defence Staff, Gen Jonathan Vance, Commander of the Royal Canadian Air Force, Lt-Gen Al Meinzinger, Rear-Adm Scott Bishop, and Rear-Adm Couturier. The Ducks have some skills, especially in Col. Igor Starkov (Russian Federation) and Col. Chang Bae Yoon (Korea), and the effort put out by the others given their short time in Canada, learning to skate, and learning the game, is impressive. Especially when you consider that one of the goalies is from Georgia, USA, doesn’t skate well, yet still volunteered to stand between the pipes and have pucks whipped at his head. The game started off with the colour party coming on to the ice and singing the national anthem followed by the ceremonial puck drop. Referees Doug Thomas and Denis Rouleau then got things underway and it was clear that most of the action was going to take place in the Ducks end of the rink. In the first period, the GOFOs took the lead with goals at 11:56 and 10:32 ending the first period ahead 2-0. It was 12:34 into the second period when the Lame Ducks got their first mark but the GOFOs got their margin back at 9:10 and increased it at 0:42 to end the second period ahead 4-1. The third period was more even as the Ducks scored at 12:08 and the GOFOs at 10:49 which ended the scoring for the game at 5-2 for the GOFOs. 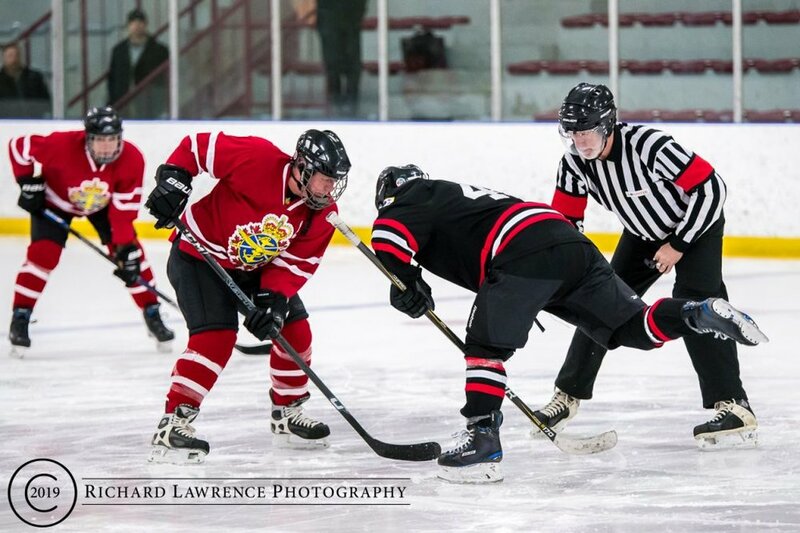 As there was still time on the ice rental, it was decided to hold a shoot-out dual where every player on each team would get one chance to skate in on the opposing goalie to try and score. Between the goalies and the attackers, the goalies came out on top, stopping almost all attempts to score. At the following reception, the Most Valuable Players were named, with RAdm. Scott Bishop selected as GOFO MVP and Maj. Scott Bryan (USA) selected as the Lame Ducks MVP. After that, it was pizza, wings, and beer.